You’ve probably already heard the news that the IRS is opening the 2014 tax filing season on January 31, 2014, but there’s no need to wait until then to file your 2013 taxes. Exciting news! TurboTax is accepting tax returns today so that you can be the first in line for your maximum tax refund. Take time to gather your necessary paperwork, forms, receipts, and checklist for your 2013 taxes. TurboTax asks simple questions about you, but having your documents ready to go will save you time. Keep an empty folder next to where you keep your mail. When your W-2s and 1099s start to roll in you can keep them all together in one folder. Our lives are busy, but don’t forget that your 2013 expenses related to your job search, day camp for the kids, charitable donations, and medical expenses to name a few, may help you get a bigger tax refund. Make sure you have those receipts in hand when you go online to prepare your taxes. Even though it’s already 2014 there is still time to contribute to your IRA, putting more money in your nest egg and increasing your tax refund. You have up until the day you file your taxes to make a contribution for 2013 and lower your taxes. Make sure you have your correct social security numbers before sitting down to file your taxes. Incorrect social security numbers for you, your spouse, and dependents will cause you to miss out on valuable tax deductions and credits. 5. Don’t wait to file. Last year about 75% of taxpayers received a tax refund and the average tax refund was close to $3,000, so there is no reason to wait! I have been using turbo tax for years. Every year we get a refund and in 2013 we got about 2300.00 back. I just completed my 2014 taxes last evening and our refund is 38.00. This was so disappointing to me and I cannot understand why such a drastic drop. Our income even went down about 3000.00. Did tax laws change that much? Hello my question is can i still file my 2013 taxes,and also is my first time filling electronic so I’m new doing that so any advice I’m a widow with a child and I’m self employed pls help. 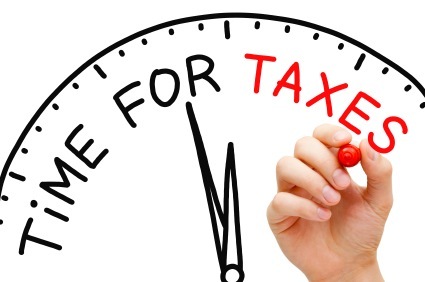 Yes you can still file your 2013 taxes and it is recommended before you file your 2014 taxes. You cannot e-file your 2013 taxes because the IRS closed e-file for 2013. You can download the 2013 tax software here https://turbotax.intuit.com/personal-taxes/past-years-products.jsp and you can file your 2014 online by going here https://turbotax.intuit.com/ TurboTax online is easy to use. You will just be asked simple questions and TurboTax does all the calculations and puts your information on the correct forms. Yes, but after April 15th it must be mailed in. You can still use the software. I’m in the same boat. I have not filed my 2013 tax return can I still file? while that isn’t the same out of date rehashed material. Fantastic read! I do not owe money,so I am just getting around now with my 2013 Taxes. Hello Lisa, so is that the software I use to file my 2013 taxes? I cannot even get on the Turbo Tax system to file. The little circling worm says “securing a safe internet” and does this on and on and on and on and on and on and on and on and on and and on and on and on and on and on and on and on and on and on and on and on and on and on and on and on and on and on and on and on and on and on and on and on and on and on and on and on and on and on and on and on and on and on and on and on and on and on and on and on and on and on and on and on and on and on and on and on and on and on and on and on and on and on and on and on and on and on and on and on and on and on and on and on and on and on and on and on and on and on and on and on and on and on and on and on and on and on and on and on and on and on and on and on and on and on and on and on and on and on and on and on and on and on and on and on and on and on and on and on and on and on and on and on and on and on and on and on and on and on and on and on and on and on and on and on and on and on and on and on and on and on and on and on and on and on and on and on and on and on and on and on and on and on and on and on and on and on and on and on and on and on and on and on and on and on and on and on and on and on and on and on and on and on and on and on and on and on and on and on and on and on and on and on and on and on and on and on and on and on and on and on and on and on and on and on and on and on and on and on and on and on and on and on and on and on and on and on and on and on and on and on and on and on and on and on and on and on and on and on and on and on and on and on and on and on and on and on and on and on and on and on and on and on and on and on and on and on and on and on and on and on and on and on and on and on and on and on and on and on and on and on and on and on and on and on and on and on and on and on and on and on and on and on and on and on and on and on and on and on and on and on and on and on and on and on and on and on Oh, I’m sorry. Is it boring for you tooooooo??? Have you been able to get into the system? We have not seen other cases like this. It may be best if you go through customer service so they can talk to you over the phone since we need details like, the page you were on and what browser. Please call 1-800-4Intuit for help. I completed my taxes 2 weeks ago but I am unable to file due to the fact that TurboTax says the IRS forms aren’t available yet. We are a month out from when taxes are do, when does TurboTax anticipate they will be available? I am having the same problem.!!! as d. Taylor. Even redid them .Still says waiting on forms..
Did you ever figure this out? Turbo tax is telling me the same thing. Help! I filed my taxes for 2013 last month on feb.14th. They claim that it inly takes up to 21 days for people to recieve thier refunds. Its March 14th and I have YET recieved ny refund ….it just says that it’s processing. Why is it taking so long?? I tried all afternoon to sign in and keeps stating its incompatible with my browser. Downloaded 2 different browsers and still says the same thing. Giving up and going with another company after using Turbotax for several years. Help page comes up with a white screen so cannot access a phone number. I am having the same problem and so is my daughter. Any luck with help? I am also having the same issue. Any updates yet???? Where are the forms… what the heck are we suppose to do. Not file?? I had m taxes done with turbo tax and irs accepted on the 10th. I check wheres my refund and it stills says processing. Is it something wrong or is that normal. I did not file taxes for 2012 because I didn’t have any income and had a 1099 which I knew would cause me to owe. In 2013 I started working so do I have to file 2012 taxes by themselves and then file for 2013 or can they be combined? My mother died on 5/12/12. She left me a Condo in Florida which I sold on 9/19/13. I was issued a Substitute Form 1099-S. I checked with my local CPA and was told I did not have to pay taxes on this. I am now trying to use Turbo Tax to do my taxes and not sure where this amount goes. Please help. I installed turbotax on 1/12 and updated it immediately. Before attempting to file 2/7, I downloaded an update and lost about $3k in my return. How do I find out what changes caused this decrease? My husband has been trying to file for 2 days, each time he tries it come up with please select country, he hits not applicable and it still wont let him file?? What’s up with this? I just started an online e-commerce business in October and have my LLC. Can I still use TurboTax like I did last year for my personal taxes? I filed my taxes already…waiting for irs to accept or deny it….I guess in asking this question it won’t really matter now…but anyways I claimed my son…and tried to claim my fiance my sons mother…she was a full time student and I supported both her and my son for 9 months of last year…but was told she wasn’t a dependant…just curious but is it because were not married? It may be because of your states cohabitation laws. Unfortunately, in some states it is illegal to cohabitate. I live in VA and that is the case. Even though my sons father and I live together and have done so for 13yrs I cannot claim him on my taxes. Will I be charged for direct deposit? Whats wrong with the website I can’t log in?? I have my federal taxes done, now i need to file my state tax from with oregon taxes and i can’t get into it to file it. What do i do to file? Turbo Tax emailed me to let me know that my federal return was accepted by the irs today ( early 1/26/14 ). Since the IRS will not start processing refunds until the 31st, when should I expect my direct deposit refund. I just received an email saying my return was accepted early. Anyone else get this message? We also got an email saying ours was accepted as of 1/27/14 and I thought they weren’t accepting them until 1/31. The IRS website says our return is processing. If the irs receive my tax return jan 24 how long will it take for me to get my refund faster or I have to wait til jan 31. Hi Lisa! When I try to work on IL state return it tells me the updated version of the IL-1040 was not included in this version. When will this update be ready for download? Should I send my federal now since it’s ready? I am ready to file my 2013 taxes. However, I cannot get TURBOTAX to let me sign in????? I got married July 13, 2013 and lost my job July 5, 2013, can my husband claim me the rest of the year and as injured spouse. Also we have separate turbo tax accounts and do we file married on one account or do I need to file on both accounts as married. I have already filed thru Turbo Tax for the 2013 season. I left out one of my W2s and now need to re-file. How do I cancel the already completed return? You can’t cancel your completed tax return. Once the IRS begins accepting tax returns on 1/31, if they accept your tax return they may adjust it for you if not you will need to amend. If your tax return is rejected, you can fix your tax return and add the W-2 you left out and resend it. why is there no replies to all the questions about Turbo Tax saying the IRS forms aren’t available yet? this seems to be an issue for many people and we can’t get our taxes filed? I started paying my credit card balances with American Credit Services, can I use their monthly fee of $49.00 as a deduction? Every year that I have filed I have been able to pull up all of the forms that I have filed with turbo tax. I have been doing it since 2010 so I don’t know if it is just over the three year span that you have to do taxes or more but I know that I have been able to pull up all of my filings when tax season rolled around. I am not sure about outside of tax season though.